Carolyn Meyer is Thankful Book Blast and GIVEAWAY! Carolyn Meyer is giving Thanks for her readers! Hermione knows . . . her mother is Helen of Troy, the famed beauty of Greek myth. Helen is not only beautiful but also impulsive, and when she falls in love with charming Prince Paris, she runs off with him to Troy, abandoning her distraught daughter. Determined to reclaim their enchanting queen, the Greek army sails for Troy. Hermione stows away in one of the thousand ships in the fleet and witnesses the start of the legendary Trojan War. 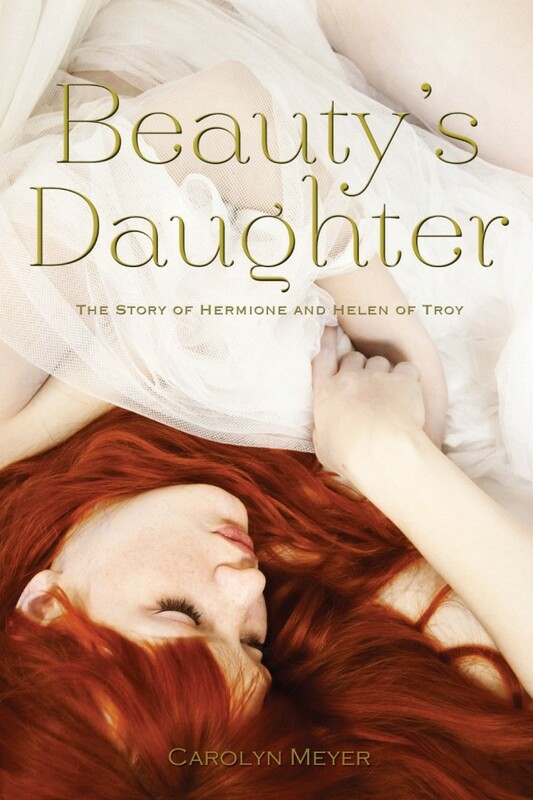 In the rough Greek encampment outside the walls of Troy, Hermione’s life is far from that of a pampered princess. Meanwhile, her mother basks in luxury in the royal palace inside the city. Hermione desperately wishes for the gods and goddesses to intervene and end the brutal war—and to bring her love. Will she end up with the handsome archer Orestes, or the formidable Pyrrhus, leader of a tribe of fierce warriors? And will she ever forgive her mother for bringing such chaos to her life and the lives of so many others? 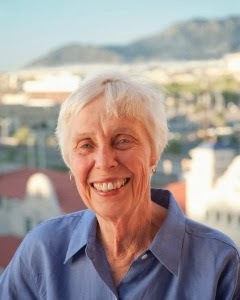 Carolyn Meyer is the author of more than fifty books for children and young adults, and has no intention of quitting any time soon. She lives in Albuquerque, New Mexico. After years of writing about the young lives of fascinating women of power, from Cleopatra to Victoria, in BEAUTY’S DAUGHTER I’ve drawn on the myths of ancient Greece to tell the story of what it must have been like to be the daughter of the most beautiful woman in the world.When Helen leaves her husband and daughter and runs off to Troy with handsome Paris, a thousand Greek ships sail for Troy to bring her back..and her daughter, Hermione, goes with them as a stowaway. Hermione’s adventures on the Trojan beaches, her struggle for survival,, and her search for true love of her life drive this story. Queen Victoria’s personal journals inform this captivating first-person account of one of history’s most prominent female leaders. Queen Victoria most certainly left a legacy—under her rule as the longest reigning female monarch in history, the British Empire was greatly expanded and significant industrial, cultural, political, scientific, and military changes occurred within the United Kingdom. 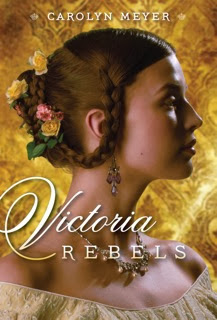 To be a young woman in a time when few other females held positions of power was to lead in a remarkable age—and because Queen Victoria kept personal journals, this historical novel from award-winning author Carolyn Meyer shares authentic emotional insight along with accurate information, weaving a true story of intrigue and romance. It is the first century B.C. Cleopatra, the third of the pharaoh’s six children, is the one that her father has chosen to be the next queen of Egypt. But when King Ptolemy is forced into exile, Cleopatra is left alone to fend for herself in a palace rife with intrigue and murder. Smart, courageous, ambitious and sensuously beautiful, she possesses the charm to cause two of history’s most famous leaders to fall in love with her. 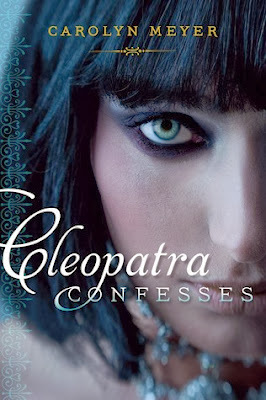 But as her cruel sisters plot to steal the throne, Cleopatra realizes there is only one person on whom she can rely–herself. In Cleopatra Confesses, award winning author Carolyn Meyer writes the story of the teenage girl who would become Egypt’s most unforgettable queen, from her early years to her her ultimate destiny. Mary Stuart was just five years old when she was sent to France to be raised alongside her future husband. But when the frail young king dies, eighteen-year-old Mary is stripped of her title as Queen of France and set adrift in the harsh world, alone. 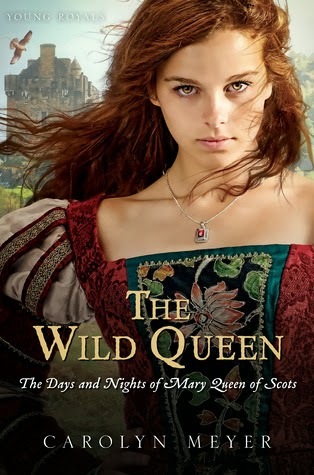 Determined to reign over what is rightfully hers, Mary returns to Scotland. Hopingthat a husband will help her secure the coveted English throne, she marries again, but the love and security she longs for elude her. Instead, the fiery young queen finds herself embroiled in a murder scandal that could cost her the crown. And her attempts to bargain with her formidable “sister queen,” Elizabeth I of England, could cost her her very life.